Finished piece for the 25th Anniversary of Street Fighter - this is part of an online group show which will be featured on this blog sometime in the near future. That red fabric... I like to think Ken's the one that got away! 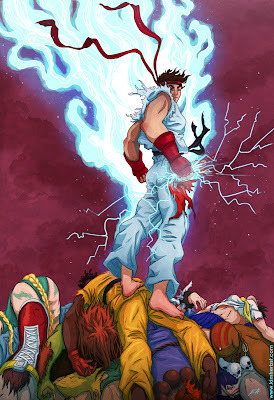 Each illustrator got to pick a character and through some miracle, Ryu was still available. Lucky me!